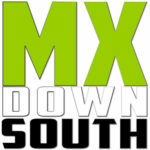 Here is a little teaser video for Dirty Deeds MX…..man that dirt looks so good. Â This is only the night portion of the track, they will be racing the whole track this Saturday. Â Get ready for some great racing. Â If anyone has a video of the whole track email it to me.